Vitamin C was one of the first essential nutrients discovered and is recognized as providing a wide range of benefits. Life C is 4Life's exclusive combination of 7 active forms of vitamin C, providing key nutritional support for the entire family. Each of the seven forms of vitamin C provide anti-oxidant support for different body systems, which can result in synergistic effects. 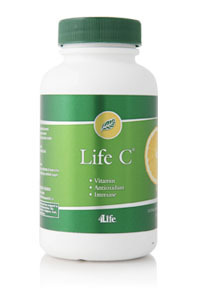 Unlike many supplements that use straight ascorbic acid, Life C contains vitamin C in food-complex forms, which can improve absorption by the body.